It’s fall, so treat yourself to the delicious taste of the season with Nature’s Agave™ Pumpkin Agave Margarita. Perfect for your next Halloween party or holiday gathering. Start with premium ingredients - CORZO 100% blue agave tequila, Nature’s Agave™ Raw agave nectar, fresh citrus juices, Sal Del Mar sea salt and a touch of pumpkin pie puree. In a small plate, mix equal parts of Sal Del Mar salt and pumpkin powder, to rim the margarita glass. In a mixing glass add Corzo Reposado Tequila, Nature’s Agave™ Raw Agave Nectar, pumpkin pie puree from a can, fresh lime and orange juice, three dashes of pumpkin spice powder, ice and shake. 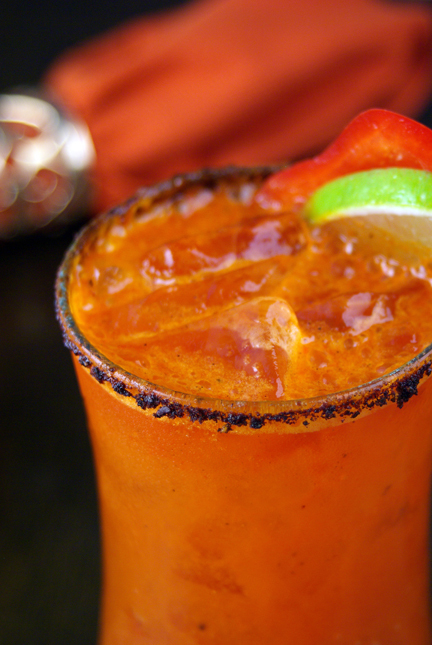 Serve over the rocks in margarita glass with Pumpkin spice powder and salt rim. Created by mixologist Manny Hinojosa for Nature’s Agave. Originally from Mexico City, Manny draws inspiration from his latin roots and expertise in tequila to craft one-of-a-kind cocktails. Manny recently participated in The James Beard Celebrity Chef Tour cocktail and food pairing dinner with celebrity chefs Micheal Symon and Jonathan Waxman, and has appeared on The Food Network show Guy’s Big Bite.